Basic concept for the Appalachian Dragon that I've been working on. I figure every other region has a dragon, why not us too? This dragon has 3 notable characteristics. 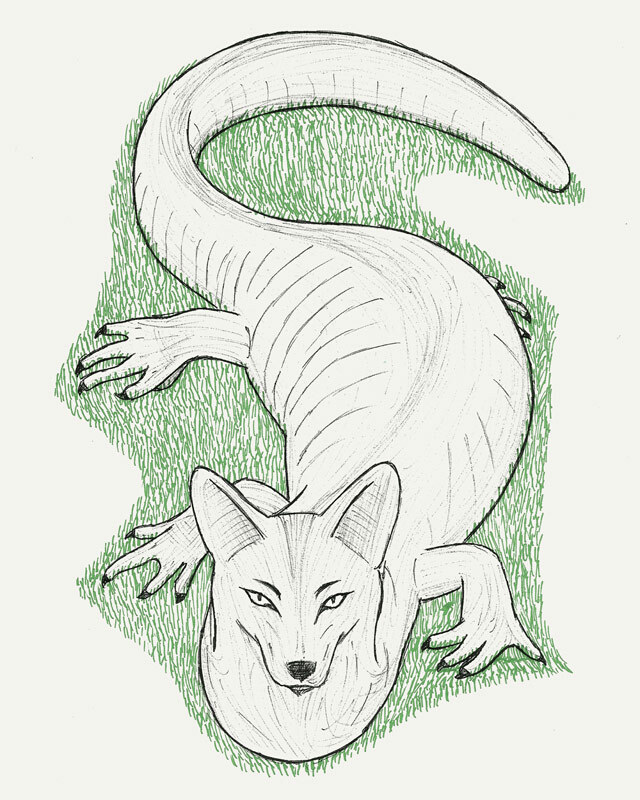 First, it bears the combined shapes of a lungless salamander and a coyote. Second, it's skin is indistinguishable from a weathered log, unless the dragon is in motion. And third, the thing is huge, large enough to eat a man in one bite. Made with pen, paper, a touch of Photoshop cs3. Definitely not a finalized design, more of a concept.